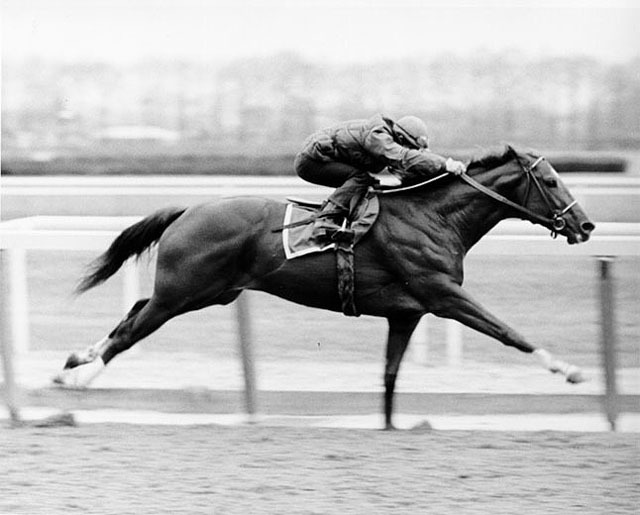 The Secretariat Photos you see on these pages are the absolute finest quality. They are from the original New York Race Track Association (NYRA) track photographer, Bob Coglianese’s original negatives. They are printed by Bob Coglianese to his highest standards. My brother Bob and I were privileged to spend time with Secretariat while he was at stud at Claiborne Farm on several occasions. He stood at stud with other great stallions of the time including Reviewer, Forli, Riva Ridge, Sir Ivor, Damascus and Bagdad. I was at most of Secretariat’s races in New York and was in personal attendance at his three Triple Crown races. 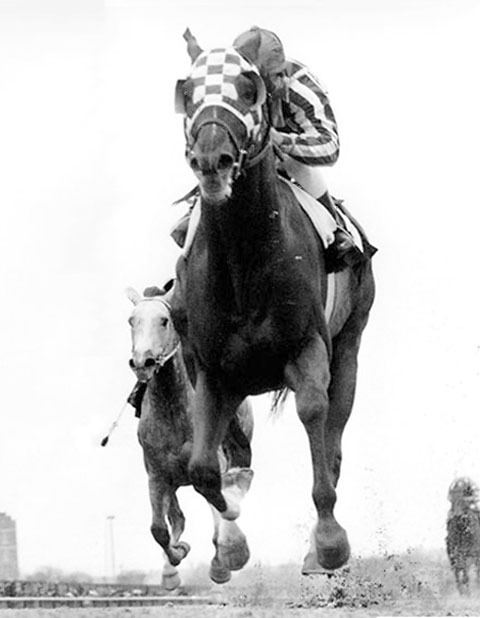 SECRETARIAT, with regular jockey Ron Turcotte races into history by winning the Belmont Stakes by 31 lengths. 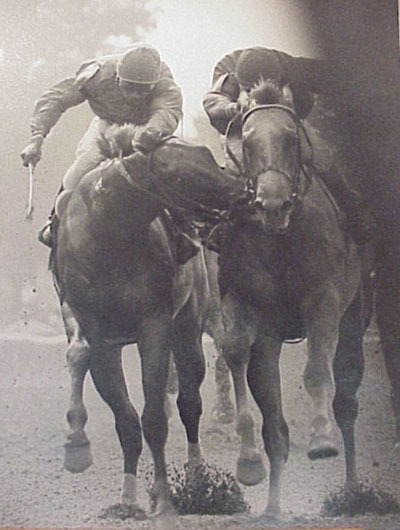 This is the most dramatic moment in thoroughbred racing last century; The Finish OF The 1973 Belmont stakes. 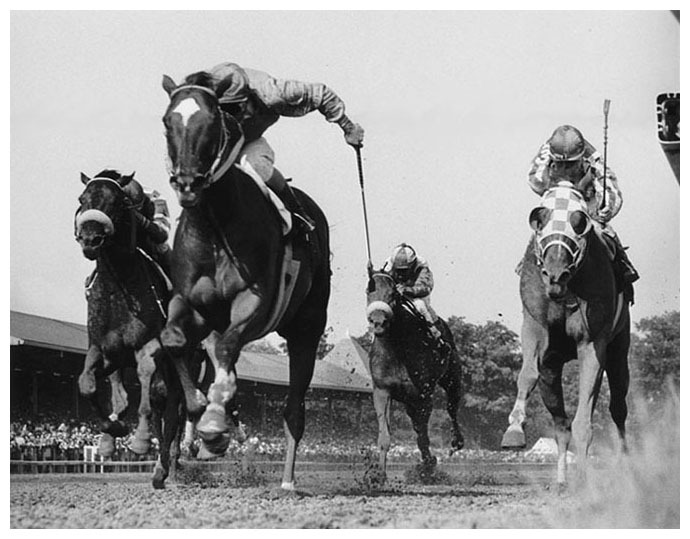 Many have coveted the finish of this great triple crown; now a great B&W photo of the finish is available. This 8x10 in. photograph is from the original track negative, made on the finest professional Kodak paper, and has never been circulated. This is the photo that was included in the 100 greatest sports photos of the 20th century in Sports Illustrated. Secretariat wins the Triple Crown. This is “The Photo”. 1973 track negative, limited edition of the champion coasting in the stretch – jockey, Ron Turcotte is looking back . This is the famous B&W Sports Illustrated photograph which celebrates the great victory at the Belmont. Secretariat, the horse of the century, is seen at Belmont Race Track working out before the Bay Shore Stakes, 1973. Secretariat won the Bay Shore. Next came the Gotham. The Gotham would be his final stakes victory before the Triple Crown. Ron Turcotte is in the saddle. 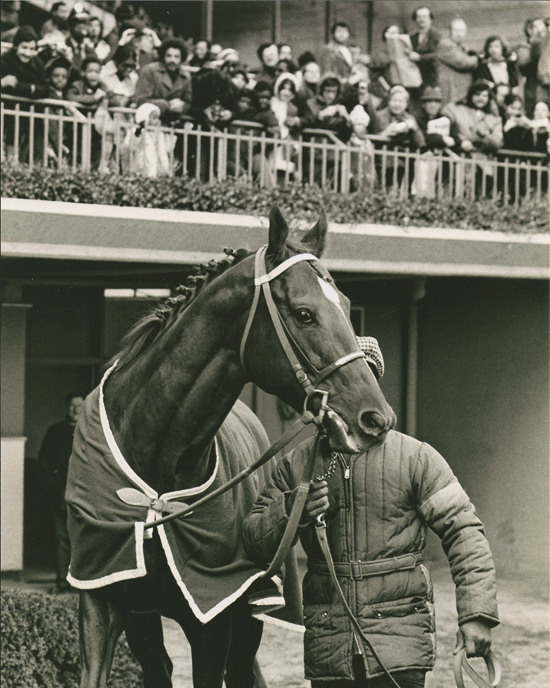 Penny Tweedy called this photograph the best photo taken of the horse of the century. The Savage. Beautiful 8x10 inch B&W photograph of a race horse savaging another in the stretch run. Equine savaging is rare as is this photo which is in excellent condition. 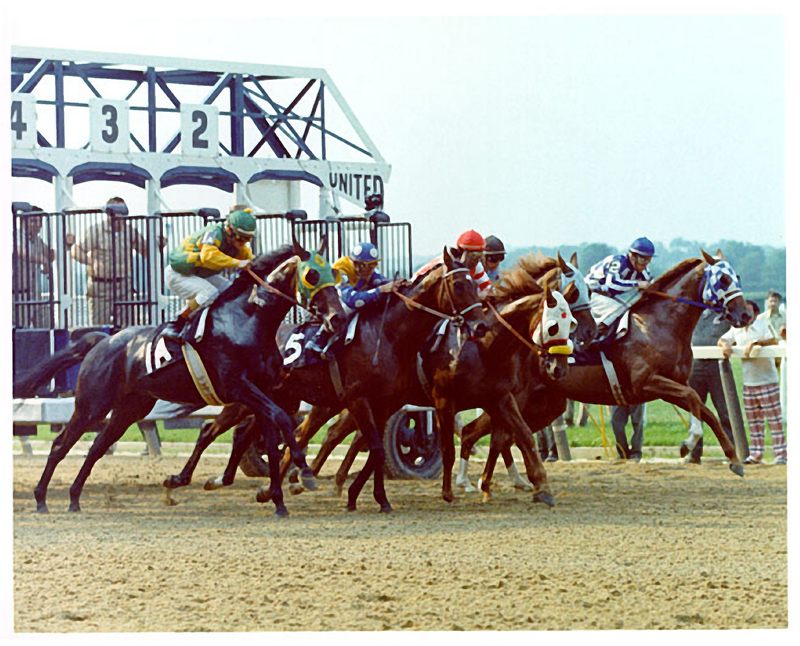 The race was the 1980 Tremont stakes with Great Prospector savaging the winner, Golden Derby. This is the famous ECLIPSE AWARD WINNING PHOTO taken by the noted New York track photographer Bob Coglianese. 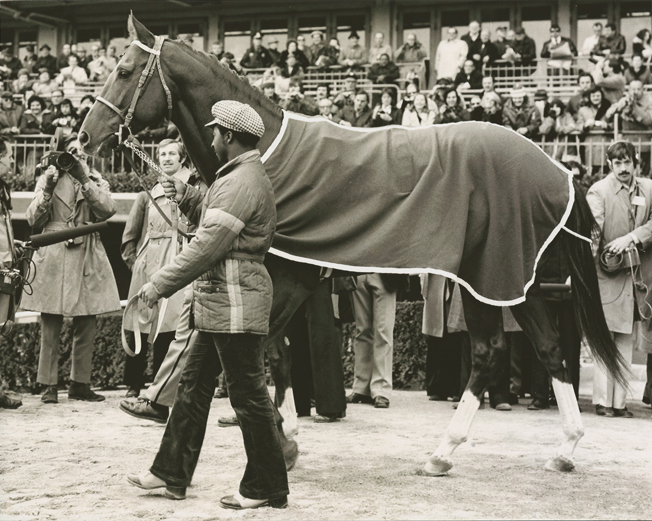 Secretariat, the horse of the century, is seen at Belmont Race Track. 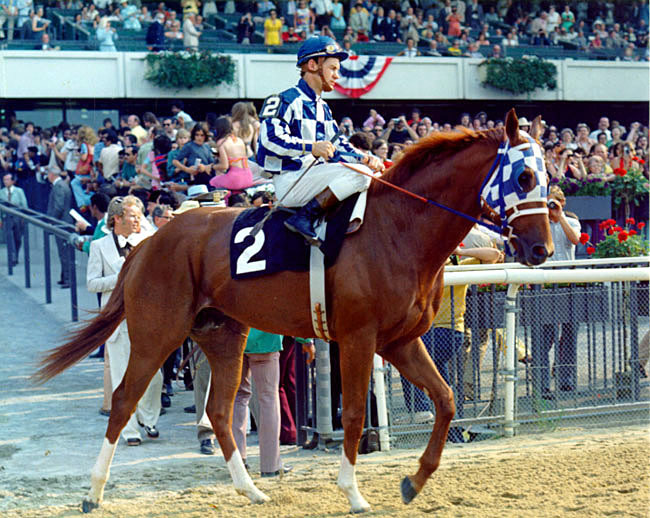 He is entering the track for the Belmont Stakes 1973 Ron Turcotte is in the saddle. This photo is difficult to find, never circulated, from the original negative. Secretariat Retires. Original track negative photo. Secretariat, the horse of the century retires. Aqueduct Race Track is the scene of the farewell to the greatest race horse this century His loyal legions turned out to see Big Red parade for the last time on a race track before his journey to stud at Claiborne Farm.. This 8x10 in. photograph depicts the grand conclusion to the career that lifted us all. Aqueduct Race Track is the scene of the farewell to the greatest race horse this century His loyal legions turned out to see Big Red parade for the last time on a race track before his journey to stud at Claiborne Farm.. Ron Turcotte is in the saddle. Secretariat Belmont Collage. 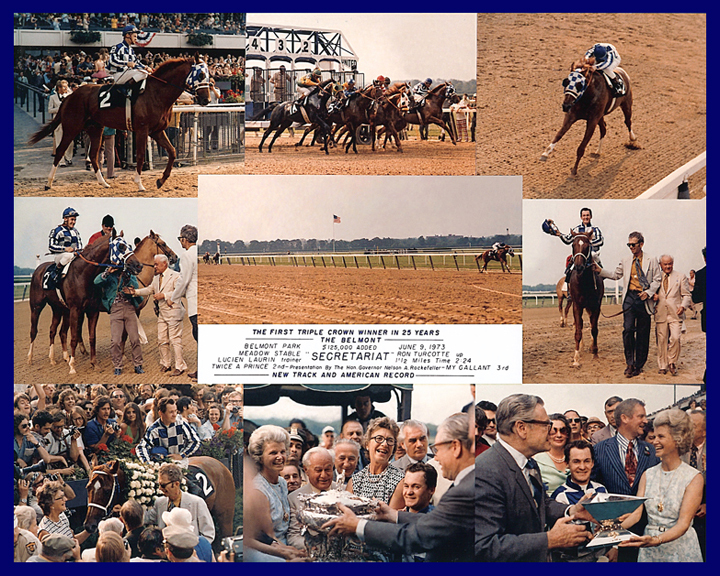 Triple Crown – Composite Beautiful color composite of the Secretariat’s great victory in the Belmont Stakes. The defining moment in the history of racing last century. 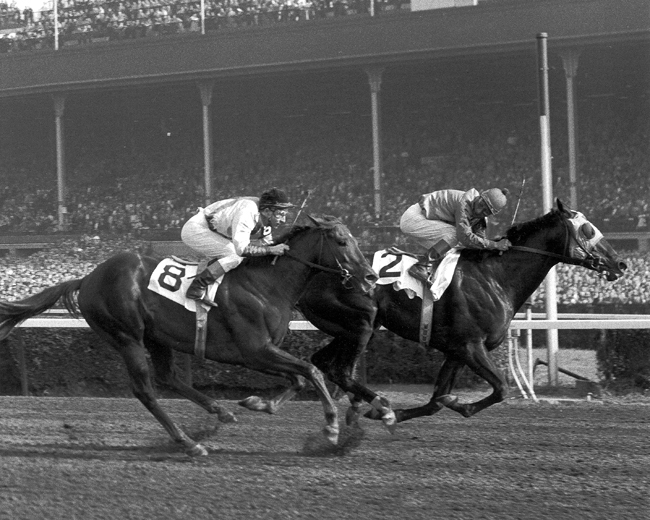 Secretariat wins The Gotham Stakes. Original track negative photo. 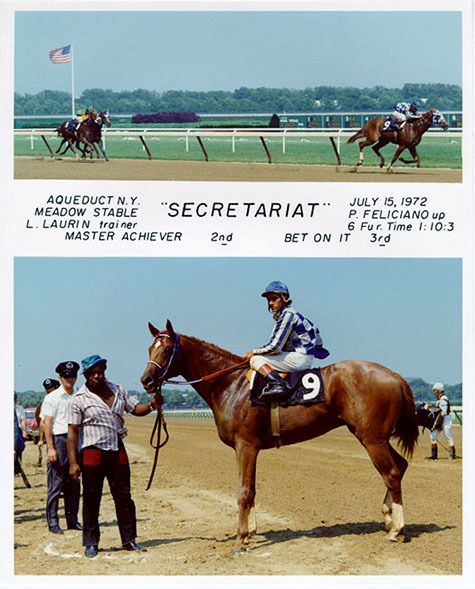 Secretariat was “away in good order, ducked to the inside to join the leaders before going three furlongs, opened a clear lead while saving ground around the turn, was roused when challenged by Champagne Charlie after entering the stretch and drew off under a hand ride”. Secretariat breaks to the side at the start of the Belmont Stakes 1973 en route to immortality. Sham is on the outside. It would be Shams last race. Beautiful color photo from the original track negative. If you were to own one upset horse racing photo it would be this one…Onion defeats Secretariat…The Whitney at Saratoga, 1973. 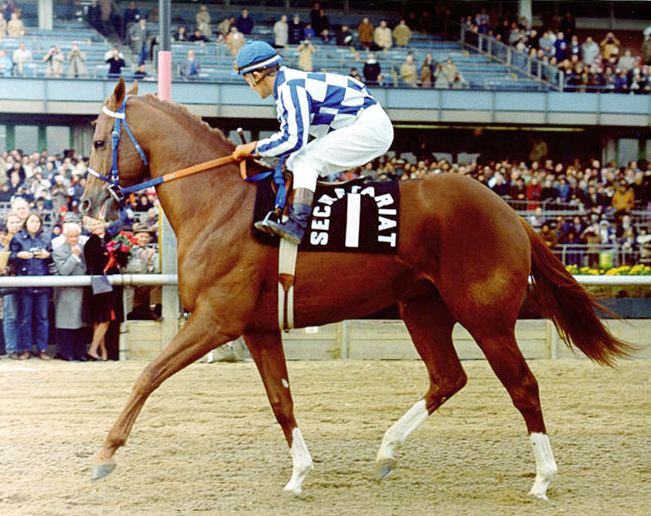 Secretariat was ill before the Whitney and could only prep 4 furlongs for the race. 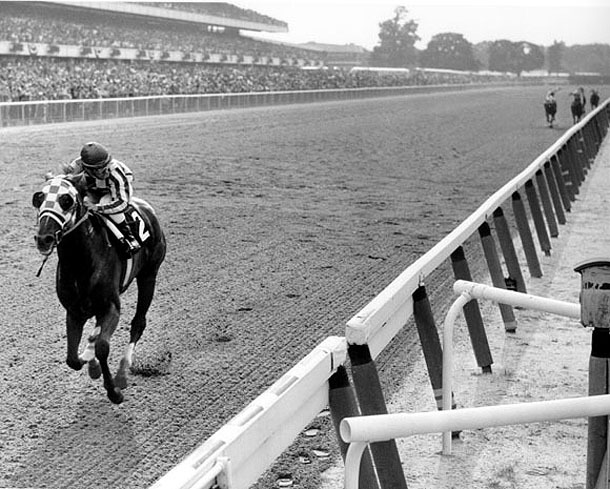 SECRETARIAT with regular jockey Ron Turcotte rears slightly at the start of the most dramatic moment in thoroughbred racing history; The Start of The 1973 Belmont stakes. Sham is seen starting on the outside. B&W original track negative photo. Secretariat Retires Landscape Photo. Original track negative photo. Aqueduct Race Track is the scene of the farewell to the greatest race horse this century His loyal legions turned out to see Big Red parade for the last time on a race track before his journey to stud at Claiborne Farm. Secretariat Maiden victory 8x10 in. photo. 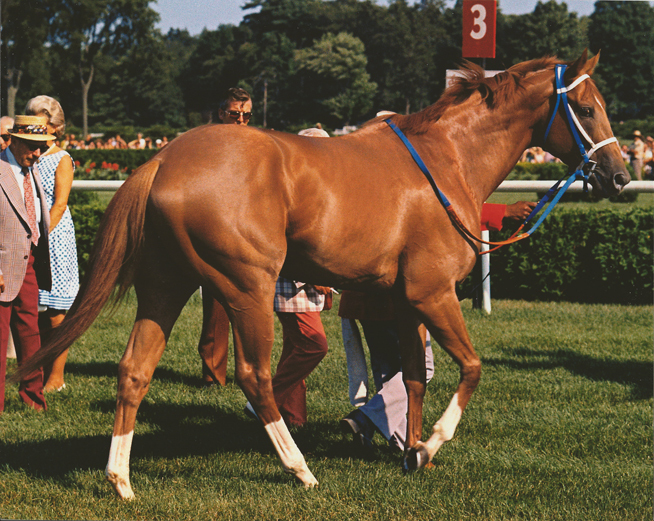 Secretariat is seen in the saddling area for the Whitney Stakes at Saratoga. Beautiful 8x10 inch color photo of the great Champion. Bold Ruler, sire of Secretariat, wins the 1958 Toboggan Handicap defeating Clem carrying 133 pounds, Eddie Arcaro in the saddle. 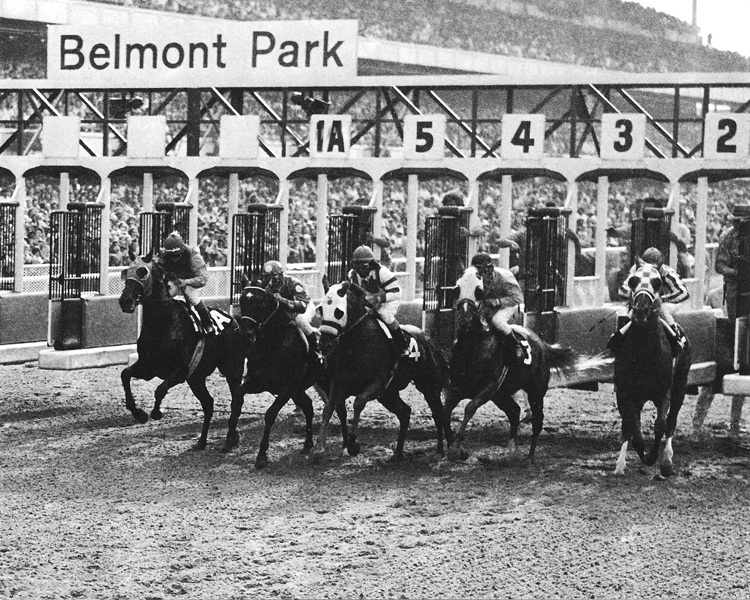 Belmont Park – The old Widener course.